When new federal grants are announced, optimistic recipients and subrecipients usually rejoice about the new funding that will help pay for important projects and programs. Much later, though, that enthusiasm sometimes wanes when a harsh spotlight, held by awarding agency officials or independent auditors, probes to determine whether those funds have been properly spent. Unfortunately, one of the consequences of being in that spotlight can be questioned costs. 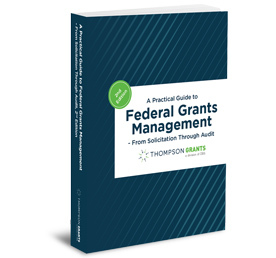 When award costs are questioned and recommended for disallowance, for whatever reason, federal grants management can become adversarial. That’s because any required repayment must come from non-federal funds. Challenging questioned grant costs requires the ability to make convincing arguments about policy interpretation and sufficiency of evidence. And you need to know enough about the cost disallowance process and underlying cost accounting policies to be effective. That’s what this webinar will provide. claimed before other required procedural steps have been taken. Our speaker, Bob Lloyd, will explain the rules for how questioned grant costs are supposed to be processed and will identify practices that have been successful in challenging disallowance and collection actions. Bob, principal of Federal Fund Management Advisor™, is a recognized authority on policies and practices affecting the award, administration and oversight of federal grants, contracts and subawards. He has assisted scores of recipients and subrecipients in overturning millions of dollars of questioned costs. In helping them avoid adverse financial consequences, he has also helped them avoid the kind of public relations damage that alleged misspending of federal funds can bring.